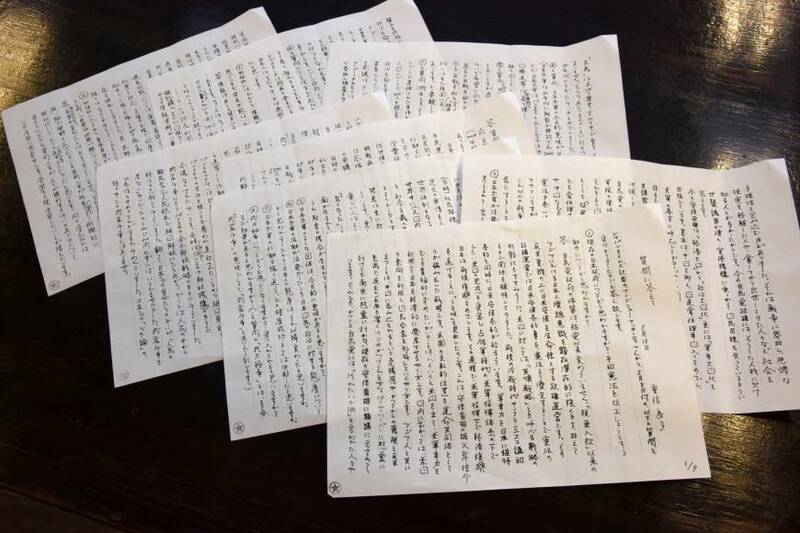 The imprisoned founder of the Japanese Red Army admits her efforts to bring revolution to Japan in the 1970s and ’80s ended in failure but she remains optimistic that public protest can check government moves to alter the pacifist Constitution. 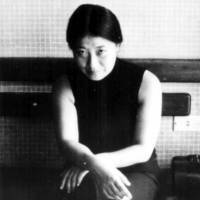 “I think Japanese people are even more apathetic about politics now than in the past … and I do think the actions of myself and others have contributed to that,” Fusako Shigenobu told The Japan Times in a letter from Hachioji Medical Prison, where she is currently incarcerated for her role as leader of a notorious militant Marxist group that carried out terrorist attacks at home and abroad. The Japanese Red Army, with Shigenobu as its head, grew out of Japan’s radical student movement of the 1960s to become one of the world’s most feared guerrilla groups, with a stated goal of overthrowing the Japanese government and monarchy and bringing about world revolution. Working in tandem with the Popular Front for the Liberation of Palestine (PFLP), the group carried out a string of deadly attacks around the world, including the 1972 machine gun and grenade attack at Israel’s Lod Airport that killed 26 people and wounded 80. 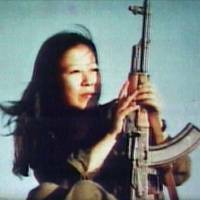 Shigenobu, now 71, spent almost 30 years on the run in the Middle East until she was arrested in Osaka in November 2000. She was sentenced to 20 years in prison on March 8, 2006, for orchestrating a 1974 attack on the French Embassy in The Hague. She received a final verdict from the Supreme Court in 2010. The Japanese Red Army’s violent actions, which included plane hijackings and attacks on embassies, horrified the watching world. Shigenobu remains committed to the goal of world revolution despite disbanding the group in 2001, but she concedes that she misjudged the Japanese public’s tolerance for violence. “At the time, the Palestine Liberation Organization was leading an armed struggle to liberate the whole of Palestine,” she said. “There was a steady stream of volunteers from the refugee camps to become guerrilla fighters. On the other hand, in Japan I couldn’t help but think that our fight was one that didn’t involve the people. When there is a need for armed struggle, people come forward to fight. That wasn’t like the ideology-driven battle fought in the minds of Japanese people. The Japanese Red Army movement grew out of the tumultuous radical student scene of the 1960s, when violent protests were commonplace and opposition to the Japanese establishment and its relationship with the United States was strong. 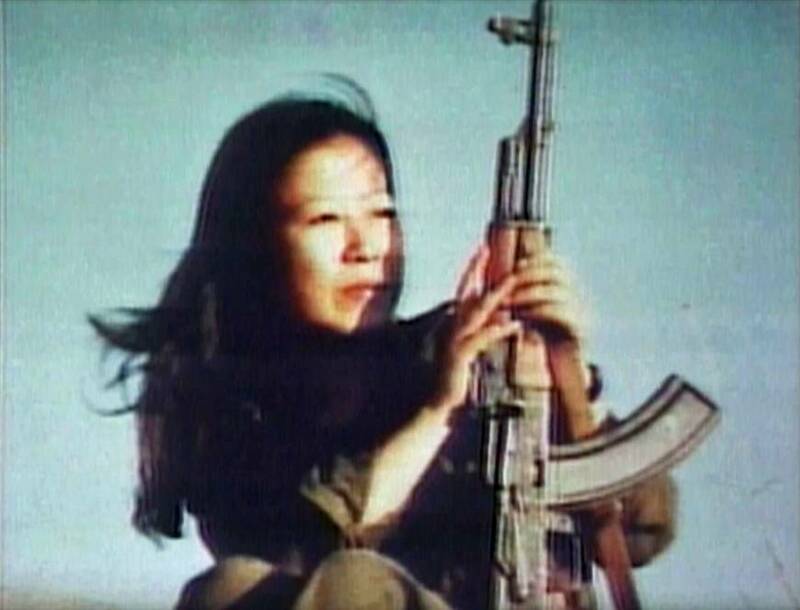 After several failed efforts to foment a revolution at home, Shigenobu decided a more international outlook was needed and traveled to the Middle East to form the group in alliance with the PFLP to fight for the Palestinian cause. “A sense of justice is nurtured within the history and culture of each particular place, and there is no one single way of achieving it,” she said. “We reflected on the battles that had been fought in Japan up to that point and sought a different mode of fighting in the 1970s. As for how that seems to me now, I don’t believe there is any need for a modern-day equivalent of the Japanese Red Army in Japan. Shigenobu was born in Tokyo on Sept. 28, 1945, and grew up with her mother, father, two brothers and sister in poverty, struggling to survive the chaos of postwar Japan. Her father had been a teacher at a temple school for poor children in Kyushu until the outbreak of World War II, when he entered the military and fought as a major in the feared Kempeitai secret police wing of the Imperial Japanese Army. Shigenobu found a job as an office worker with soy sauce-maker Kikkoman after high school before enrolling in Meiji University and becoming involved in the radical student movement. There, she rose through the ranks to become one of its top leaders. Her humble origins informed her outlook on life, and she believes that the privileged upbringing of many members of today’s ruling Liberal Democratic Party makes them ill-equipped to lead the country. “Previous LDP governments had the power to accept political doves and people from diverse backgrounds,” she said. “That was because there were a lot of people who had experienced war and knew what it was to be poor and have to rise out of poverty. They knew what it was like to be a member of society. Shigenobu’s enmity toward the government runs deep, and it hasn’t abated over time. Prime Minister Shinzo Abe’s government is currently pushing to pass a contentious conspiracy bill before the Diet closes on June 18. Critics fear the bill could lead to unreasonable surveillance of ordinary citizens and civil rights abuses. Earlier this month, Abe also signaled his desire to revise the pacifist Constitution by 2020, amending the war-renouncing Article 9 to acknowledge the presence of the Self-Defense Forces. “The Abe government wants to take Japan from economic superpower to political superpower to military superpower,” Shigenobu said. “Basically they want to contain China, get a permanent seat on the U.N. Security Council, and are adopting a pragmatic foreign policy to create a globally collaborative military environment in response to the U.S. military’s demands. For that purpose, they’re ramming through the security bill and the conspiracy bill without any careful debate. They are using the same tactics for Okinawa as well, listening to the voice of the U.S. government and not the Japanese people. “The cornerstone of the government’s attempts to change the Constitution is Article 9, particularly the second clause,” she continued. “The LDP has been pushing to build a country that can have an army and fight in wars, but Abe is pushing this with a more nationalist approach. “I was held in a detention center from the time of my arrest and during the trial, and for seven years I wasn’t allowed to see people other than my lawyer and family members,” she said. “Letters weren’t allowed during that time. Now, I can send and receive letters and have contact with the outside world. I’m allowed visitors three times a month for 30 minutes each, although it’s difficult for people outside my family to get in. In 2008, Shigenobu was diagnosed with colon and intestinal cancer, and has since had four operations. “The doctors and nurses, and my lawyers, friends and family are all taking the appropriate measures to deal with my health,” she said. “Their support has saved my life many times. Since I’ve been in prison, I’ve had four operations for cancer in my small and large intestines and other places, and I’ve had nine cancers removed. The world has changed enormously in the years since the Japanese Red Army was active, with the fall of the Soviet Union and the dismantling of the Iron Curtain in the late 1980s heralding communism’s defeat in its battle with capitalism for global supremacy. Shigenobu laments the inequality that she feels has grown in the intervening years, but she is also encouraged by the spread of education to the world’s most remote places through technological advances. And as for world revolution, she admits that her most cherished goal is unlikely to happen in her lifetime. 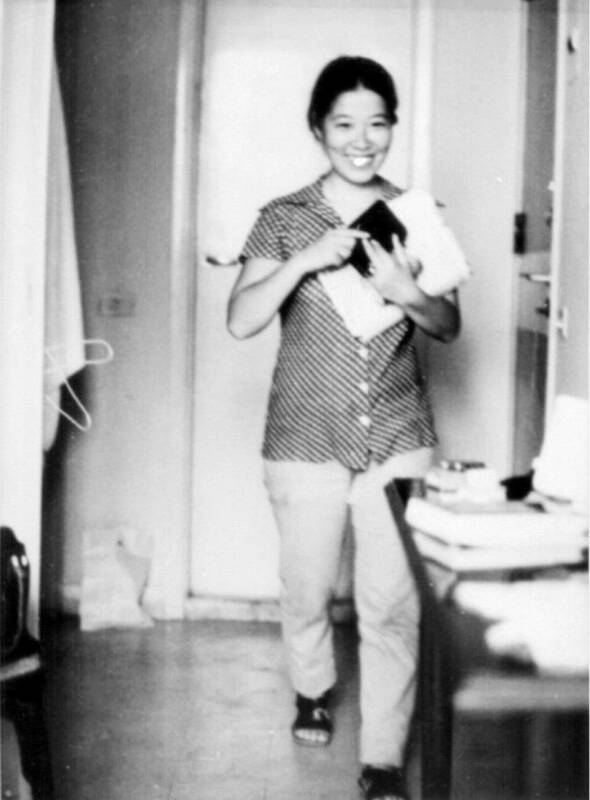 September 1945: Fusako Shigenobu is born in Tokyo’s Setagaya Ward. 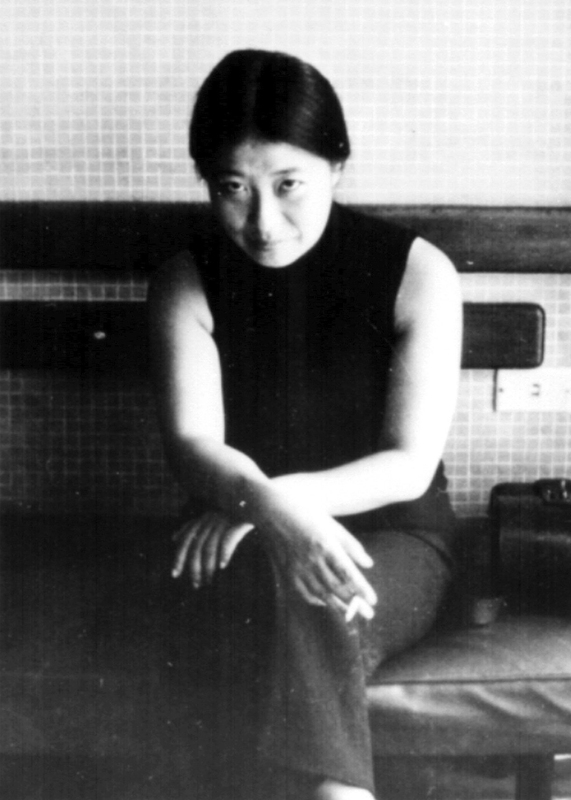 February 1971: Shigenobu founds the Japanese Red Army in Lebanon. May 1972: Three members attack Tel Aviv’s Lod Airport with machine guns and grenades, killing 26. Two of the three attackers die in the attack, while the third, Kozo Okamoto, is captured. July 1973: Members hijack a Japan Airlines flight over the Netherlands. Passengers and crew are released in Libya, where the hijackers blow up the plane. January 1974: The Japanese Red Army and the Popular Front for the Liberation of Palestine attack a Shell Oil facility in Singapore before hijacking a ferry boat and taking five crew members hostage. The Singapore government grants the terrorists safe passage to the Middle East in exchange for the hostages’ release. 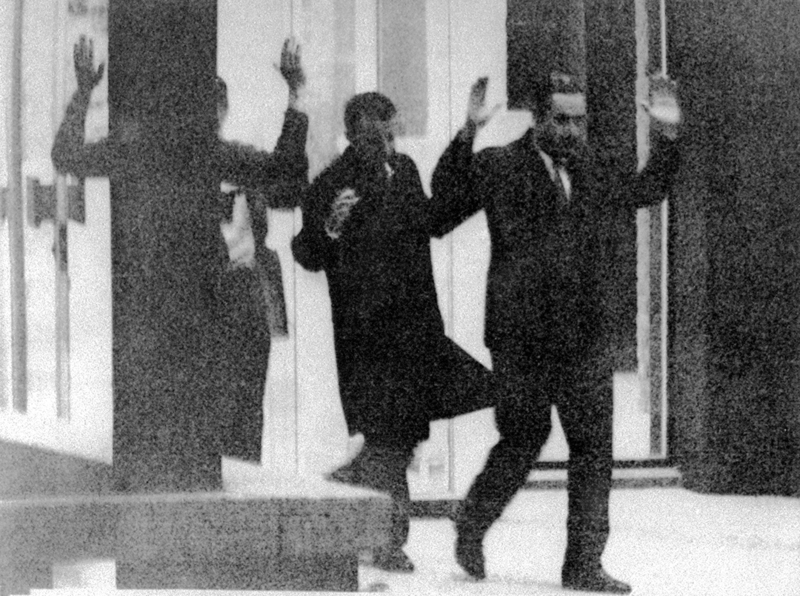 September 1974: Three members storm the French Embassy in The Hague, taking the ambassador and 10 others hostage. 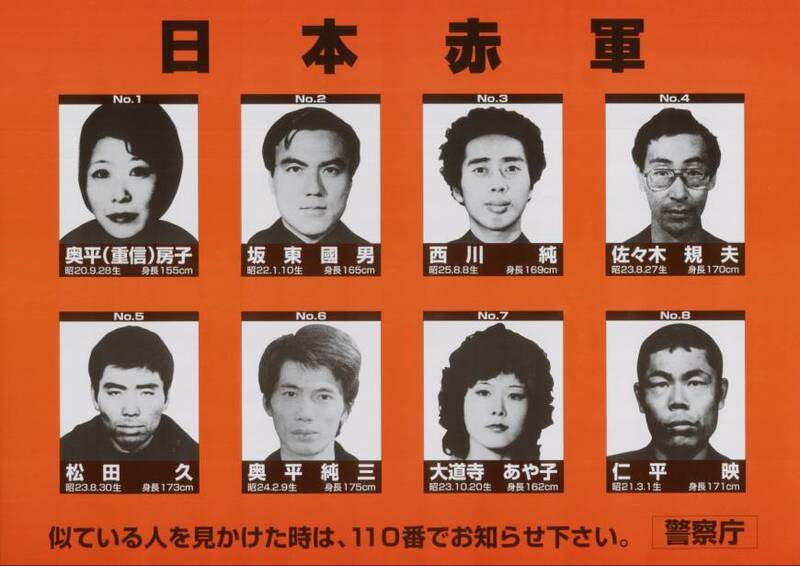 The hostages are exchanged for the release of jailed member Yatsuka Furuya. 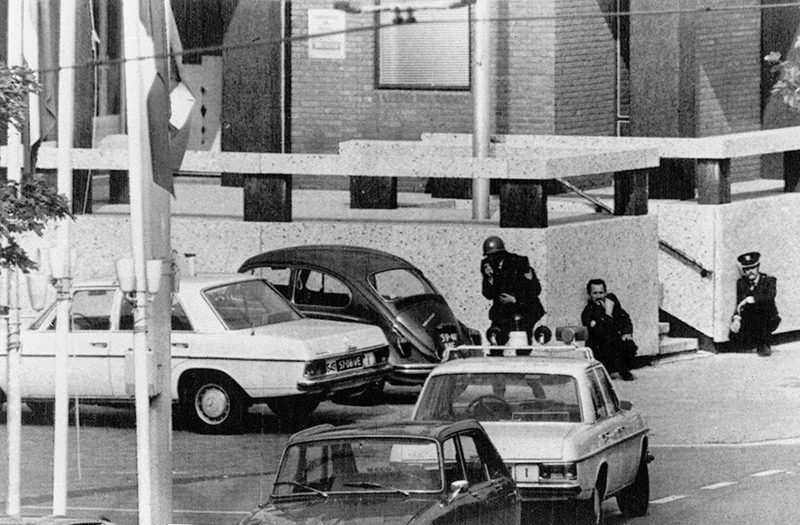 August 1975: Members take more than 50 people hostage at a building housing several embassies in Kuala Lumpur. The terrorists win the release of five jailed members. September 1977: Members hijack a Japan Airlines flight over India and forces it to land in Bangladesh. The Japanese government releases six jailed members and pays a $6 million ransom. April 1988: Members bomb a U.S. military social club in Naples, Italy, killing five. 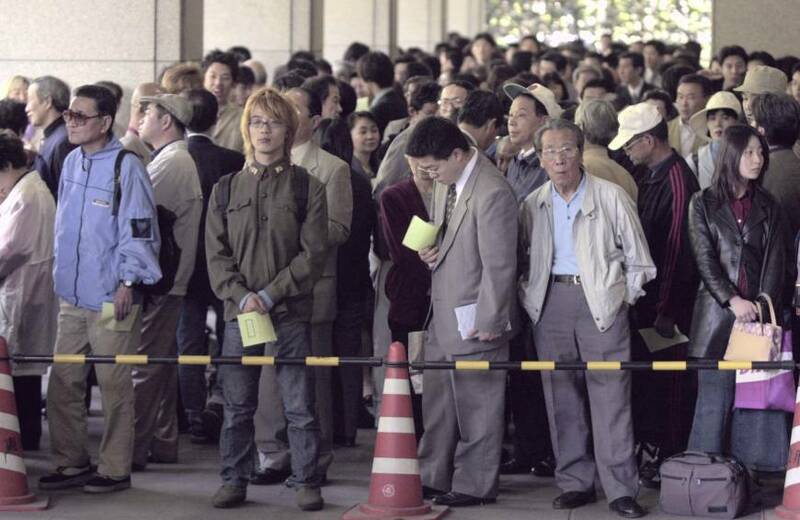 November 2000: Shigenobu is arrested in Osaka. April 2001: Shigenobu issues a statement disbanding the group. March 2006: Shigenobu is sentenced to 20 years in prison. July 2010: Supreme Court upholds 2006 verdict.